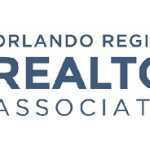 Orlando, FL – (RealEstateRama) — Members of the Orlando Regional REALTOR® Association have voted for Lou Nimkoff, Brio Real Estate Services LLC, to serve as the association’s 2017 president-elect. Nimkoff will automatically ascend to the association’s president position in 2018. Results of the 2017 ORRA Leadership Election were announced on September 30 during a reception at the Amway Center. Reese Stewart, RE/MAX Properties SW Inc.
Current ORRA President-elect Bruce Elliott, Regal R.E. Professionals LLC, will step into the association’s 2017 president position, and current ORRA President John Lazenby, Colony Realty Group, Inc., will stay with the board of directors for another year as immediate past president. Jill Boles, Don Asher & Associates, Inc.
Cathy Marino, Cathy S. Marino Realty, Inc. The Orlando Regional REALTOR® Association, recognized as one of the most innovative local real estate associations in the country, represents more than 12,500 real estate professionals throughout Central Florida. The Orlando Regional REALTOR® Association is one of the largest local trade associations in the state of Florida, with more than 11,500 members in Orange, Seminole, and the surrounding counties. ORRA is composed of REALTORS® who are involved in residential and commercial real estate as brokers, salespeople, property managers, appraisers, counselors, and others who are engaged in all aspects of the real estate industry.